Elaine Hancock (Olney, United States) on 10 July 2014 in Landscape & Rural. Excellent compo 6 colors....great view. That scene tells us that autumn is near. 'tis the season . . comes around so quickly. Très belle composition et belle lumière ! Very beautiful composition and beautiful light! Reminds me of our fields here in Saskatchewan! It's a fantastic image. I like the stunning composition. A fine shot of this hay field. The density of bales suggests that the field produced a bumper crop of hay. Nice shot. Merveilleuses bottes de paille sur ce champs vert. Wonderful country side view ..
Beautiful landscape ... so very neat and cared for! Fantastic capture! 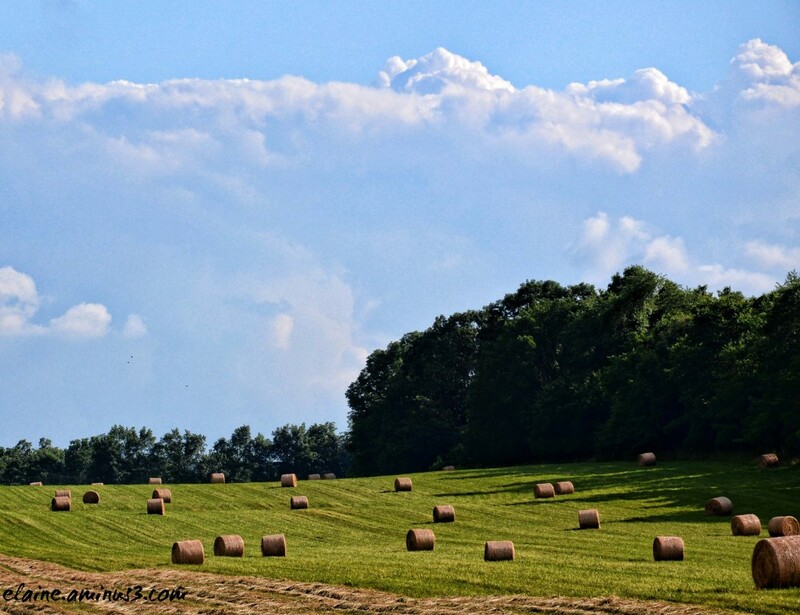 A great capture of this rolling landscape with these hay bales!! It looks like they're racing downhill. :-) I love the enormous cloud formations above as well. Beautiful rustic. Especially like how the clouds add to the composition. beautiful country scene, great shot.